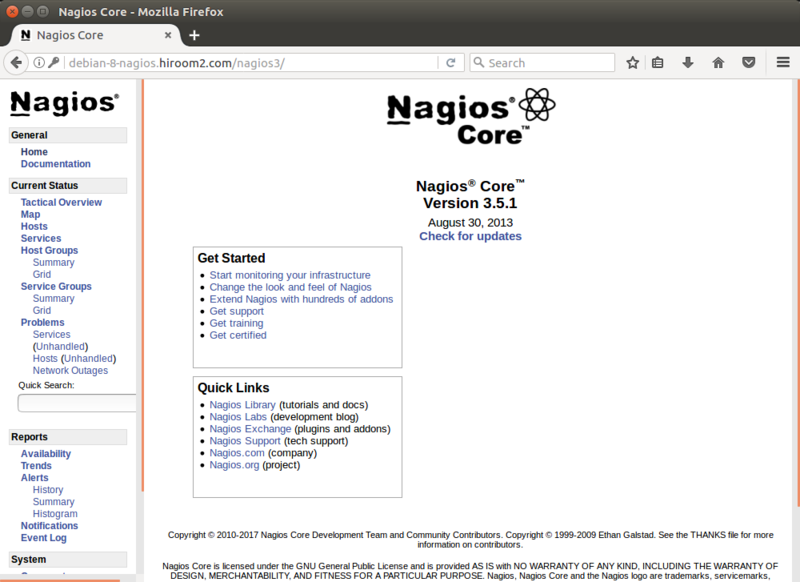 This article will describe installing Nagios which is a web-base system monitor tool. The following script will install Nagios. NAGIOS_PASSWD will be used for Basic authentication password of nagiosadmin user. Nagios configuration to Apache2 is written in the following file. You can change Nagios configuration like Digest authentication. Access to Nagios via the following URL. 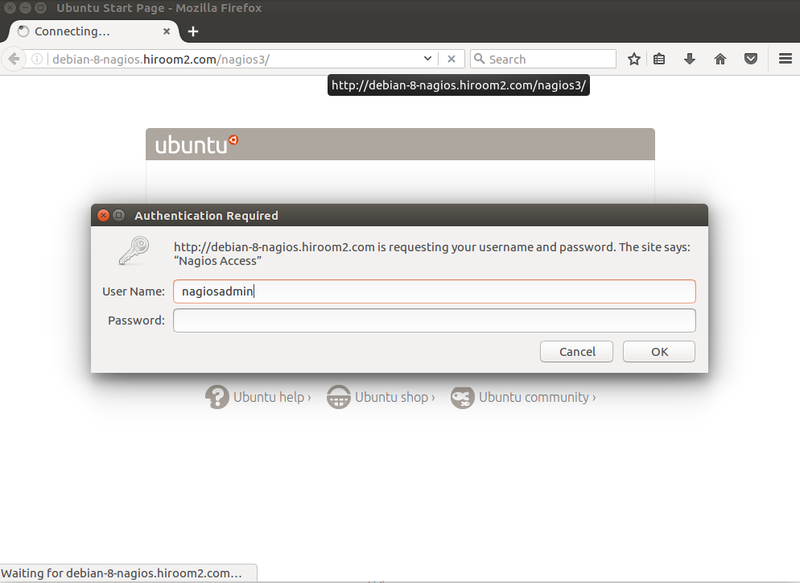 Input nagiosadmin user and NAGIOS_PASSWD.